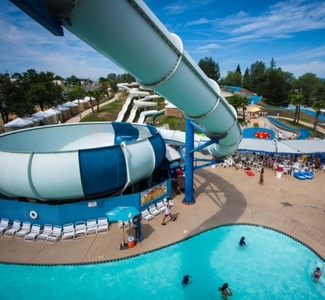 WaterWorks Park in Redding has something for the whole family! Enjoy a day at WaterWorks Park, the coolest place in Redding! All the thrills and spills you want in a water amusement park, with rides for all ages from the extreme Avalanche to the Kiddie play area. The park is open from the end of May though the beginning of September. Subject to availability - restrictions apply. Available From May 24, 2019 through September, 2019.